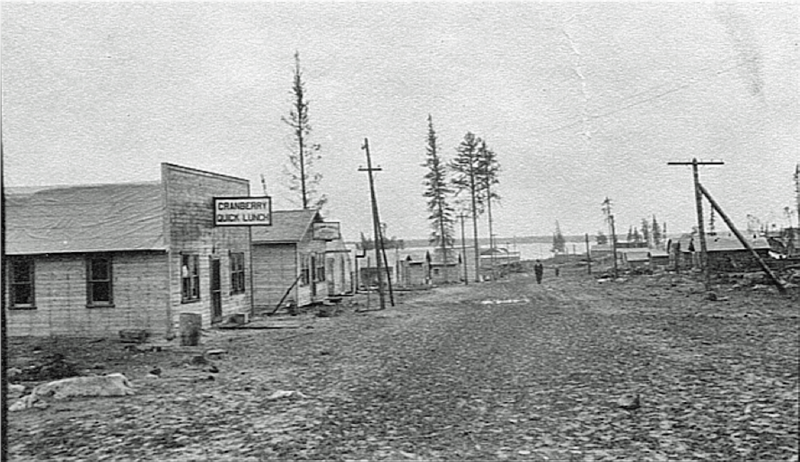 The Portage route, dating back centuries, used by the Swampy Cree Aboriginal people en route to summer or winter hunting grounds. 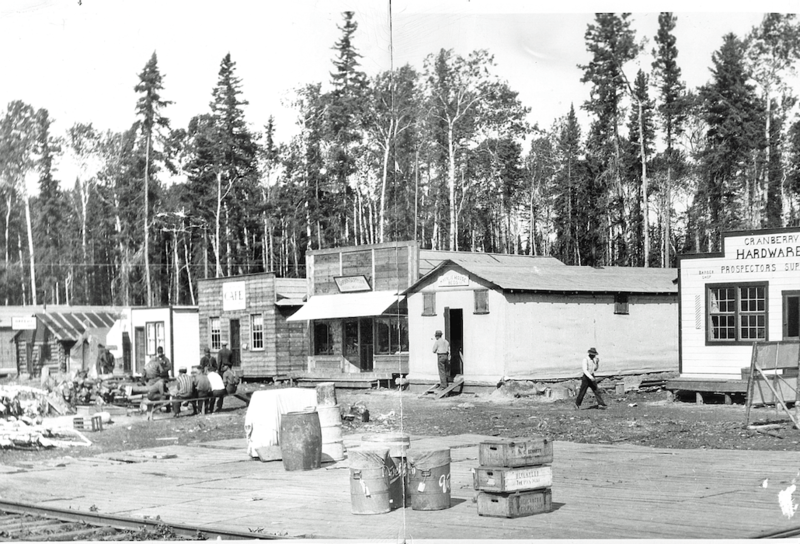 Fur Traders and Explorers also used this route. 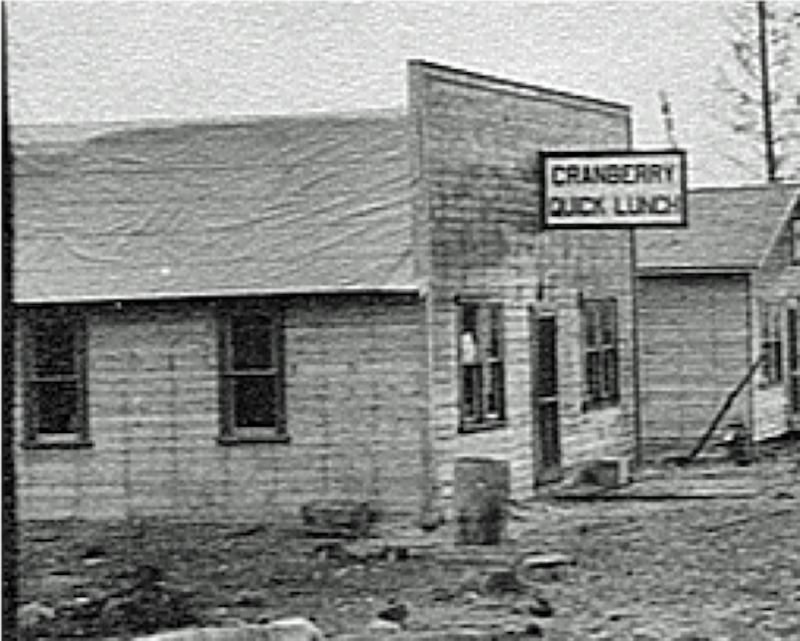 They called is as it was named by the Aboriginal people “Cranberry Carrying Place”. 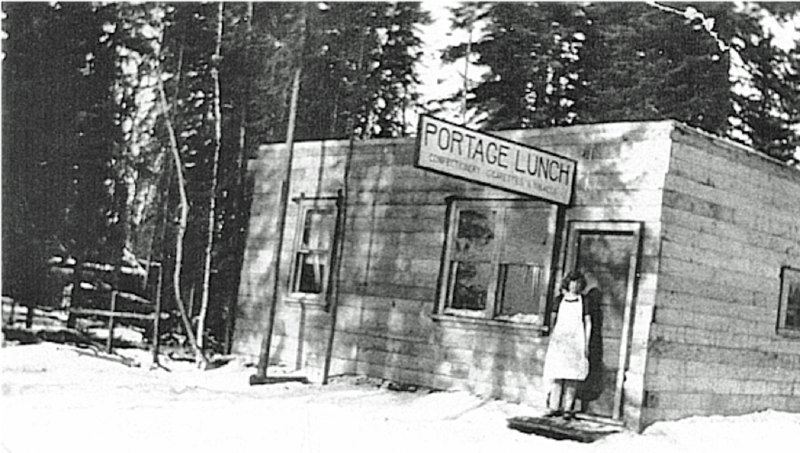 Portage Road was the name given to this trail when first settlers came to Cranberry. 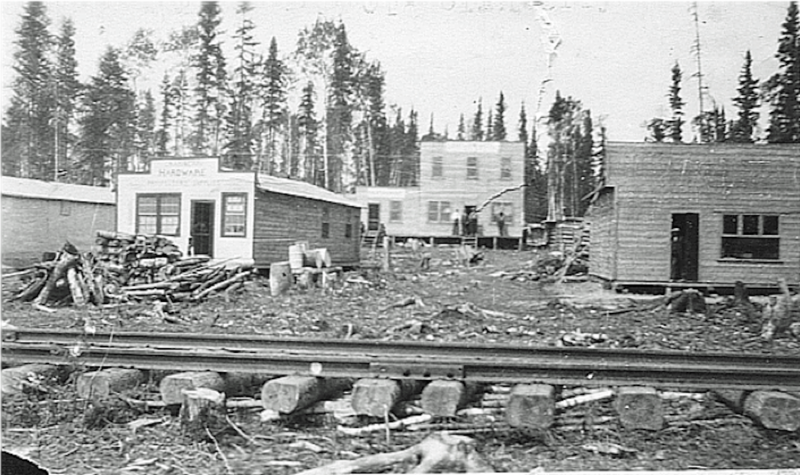 A few businesses and the log school were across the tracks but most of the homes and businesses were between the track and Lake Athapapuscow. 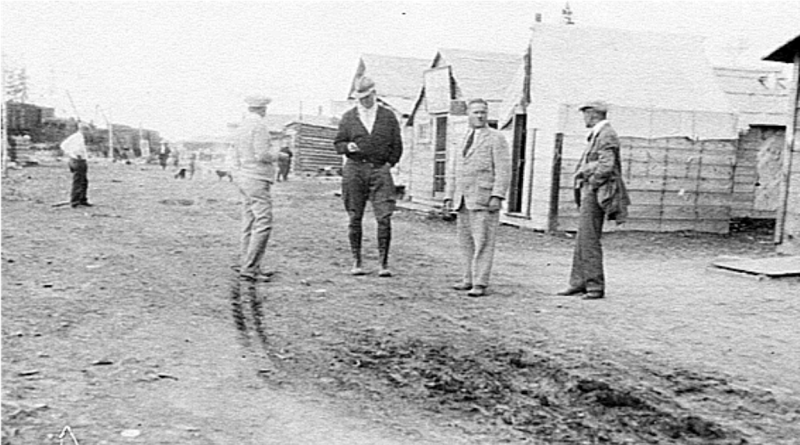 The 1926 – 1928 settlement often referred to as “Boom Town” or “Lower Town-Site” area was homesteaded before the Fire of 1929 wiped out the community, except for a few places on the other side of the track. 33 businesses, most with living quarters, had been established and succumbed to the fire’s wrath. 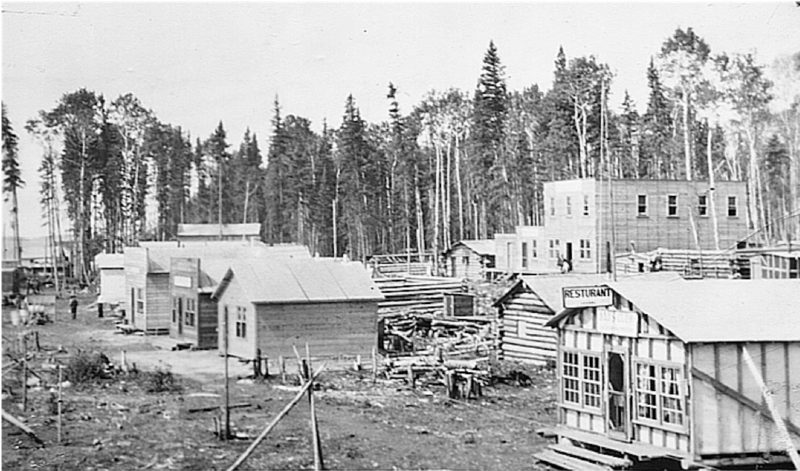 Many of those that came to the north beginning in the mid 20’s and when Boom Town was created were people who were seeking a way to make a living. They were escaping the dust bowls of the south which were the beginning of the Depression & the Dirty Thirty’s as it became known. They came with all their worldly possessions which amounted to so very little. 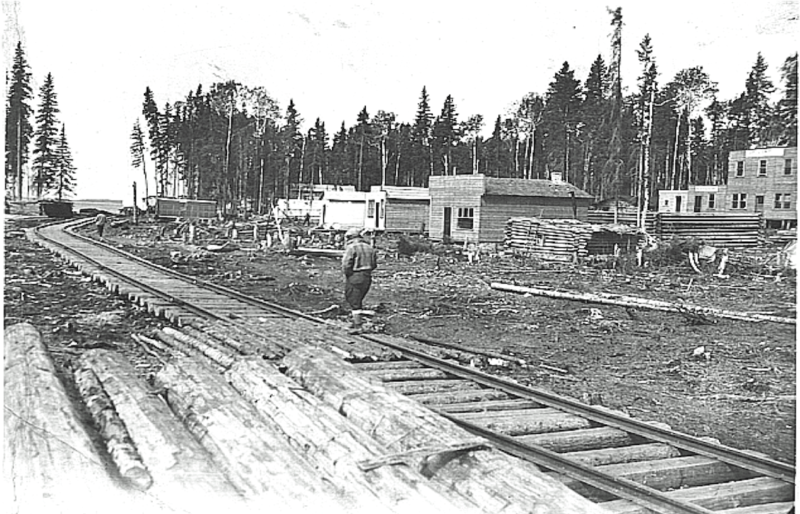 Lumber Mills did not exist when the community first came into being. You can see the stumps of the trees that were cut in order to get wood for framing and, in some cases, for the whole building. Also, the area to begin with was forested land up to the lake shore. In order to put up a business the trees had to come down. 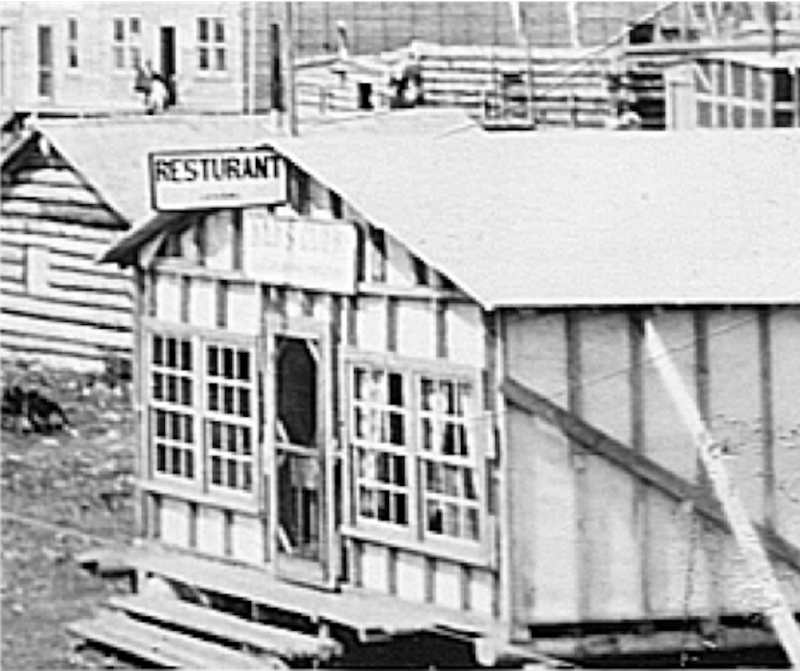 If you look carefully at the picture you can see that a number of the structures were of canvas or wood siding but a canvas roof. The people that erected these buildings did not do so with the permission of the government. They were considered “squatters” and the question had arisen, What to do with them? 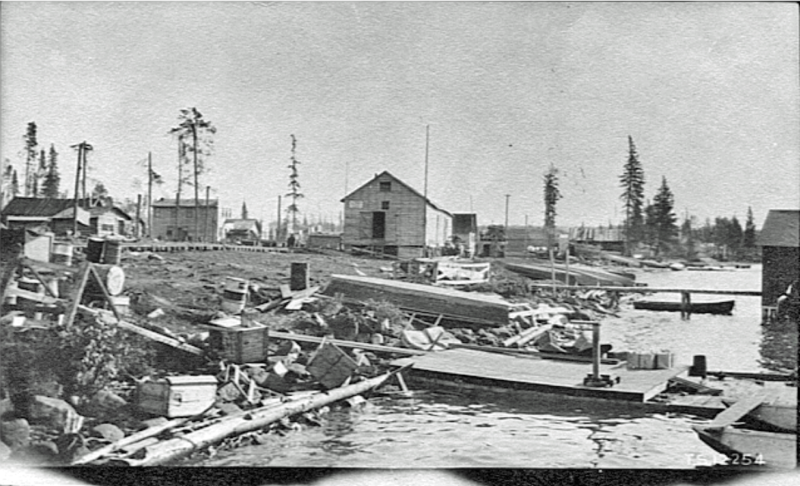 June 4, 1929 the problem came to disastrous end. 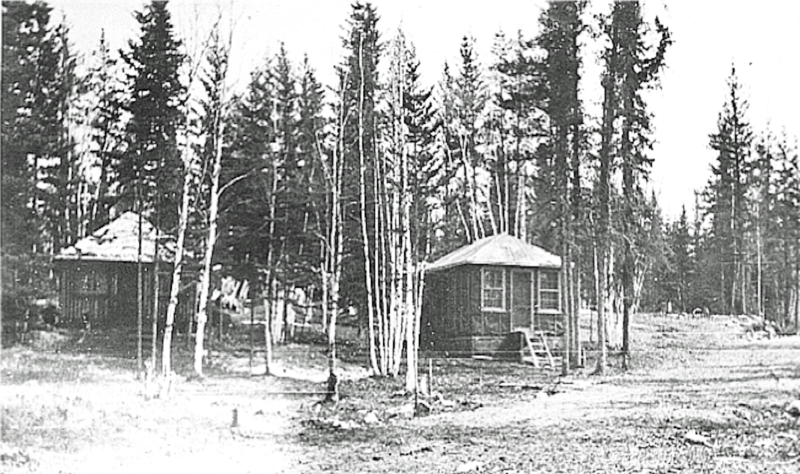 As the year progressed more of the first structures of canvas were replaced with logs and lumber. It is very astonishing to think that all the 33 businesses that went up did so mainly in 1928. 1928 Spur Down to the Lake. 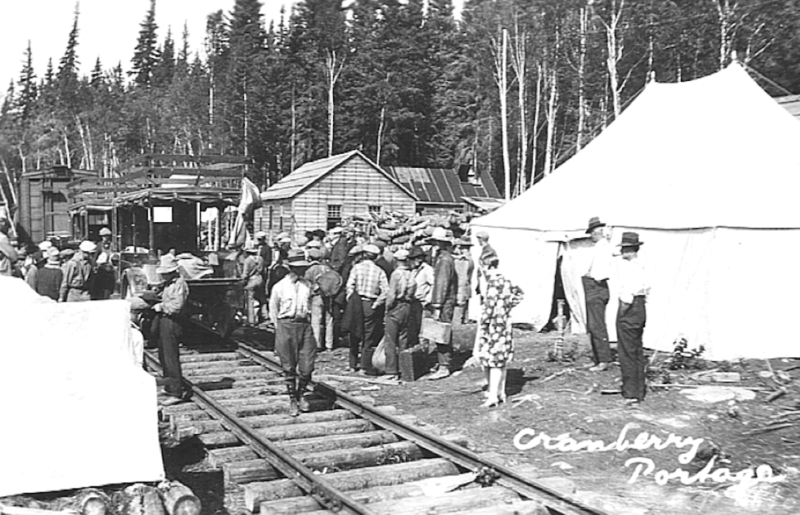 Arrivals and Departures were handled at the makeshift station at the lake shore. The arrival of the train was always looked forward to each day. Who would be on it? What was it bringing into the community? There could be any number of people there just to check it out. It certainly was a highlight for the children. Always an exciting time. In those early days shore line businesses and homes were much sought after. Businesses for being readily available for transportation to other sites as roads were not part of the area for some time to come. Homes, a much closer walk to the water supply and also boat transportation to other sites. Street leading down to the shore of Lake Athapapuskow. 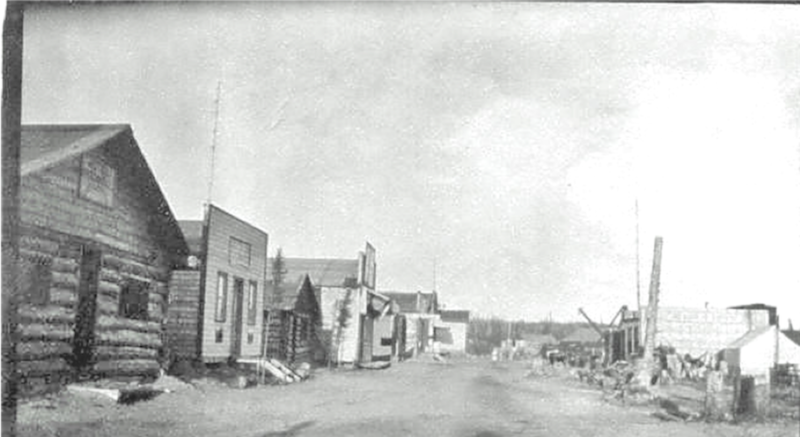 The buildings have acquired more of a business street look as we would think of such today. Wood buildings with signs and even a sun visor over the front of the one store. 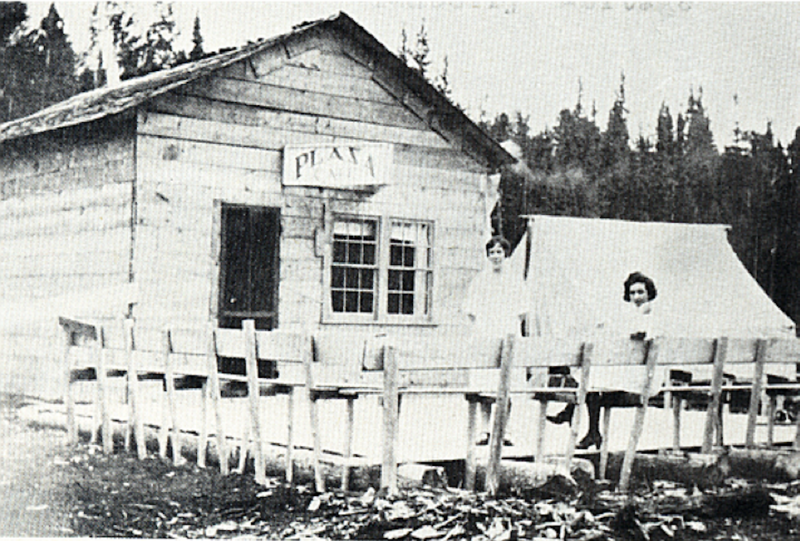 The Streamers were one of the first families to settle in Cranberry Portage. 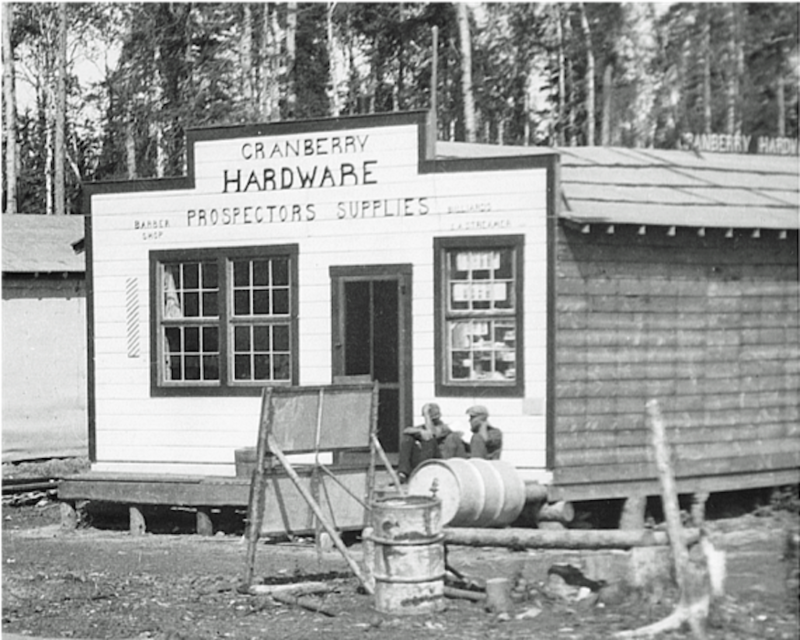 Cranberry Hardware was the first store they built. 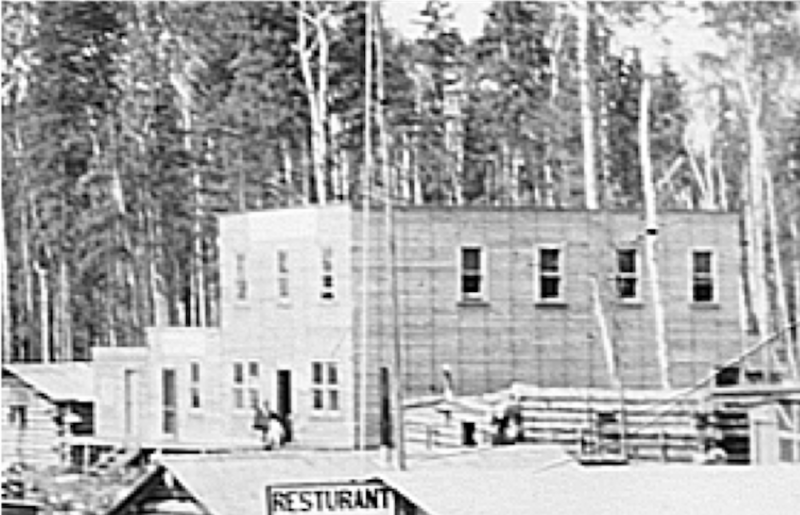 After the fire destroyed it, they chose to stay and build the new store on the lot that Streamer’s is today. This community grew to the size that it did in one year. Visitors had a number of choices as where they would like to dine. This is what we know from the photos. Through conversations with some of the old timers there were possibly a couple more. 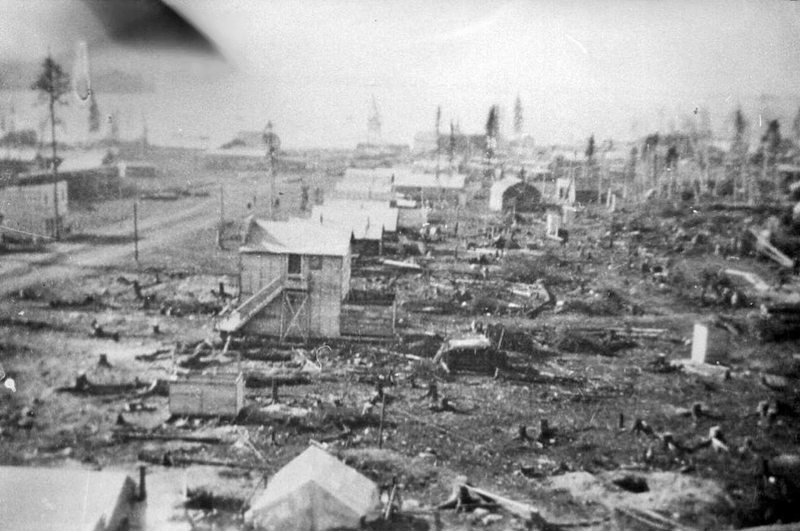 A number of articles survived after the Fire that leveled the town. They have provided some interesting reading. 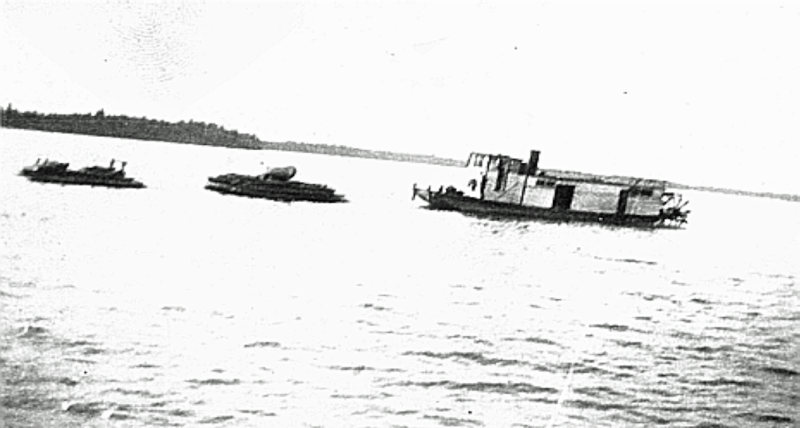 Before the rail was completed , first to Cranberry and then on to Flin Flon, the Tonepah Barge was used to haul supplies and goods in the summer from where it would be picked up at Camp 2 Bay.